1 January 2014. 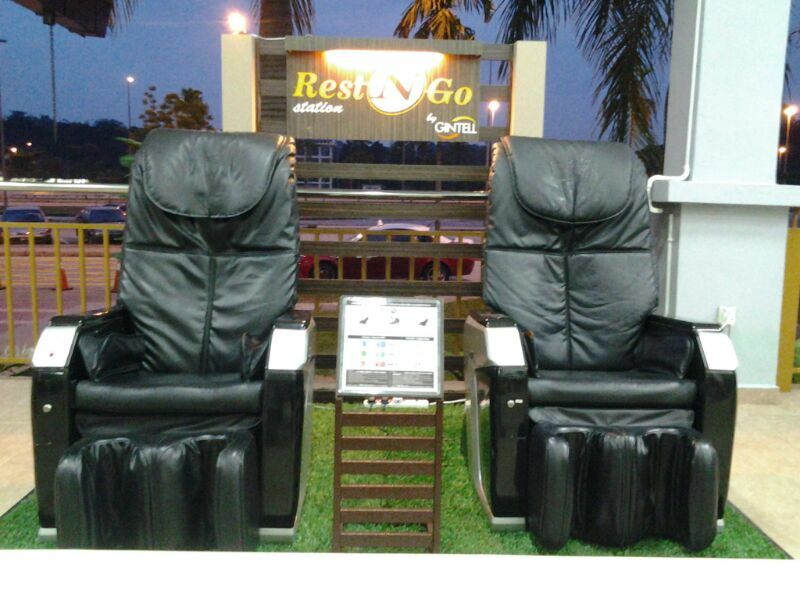 Maju Expressway (MEX) recently added a new service to both the North-Bound and South-Bound R&R in the form of Rest N Go massage chairs by Gintell. These will certainly bring benefits to MEX users by overcoming fatigue after a tiring drive. Users can experience the service starting from as low as RM1 for 3 minutes and up to RM10 for 30 minutes for each massage session. This will be beneficial to the body that is suffering from fatigue, especially involving the four areas of the lumbar (back waist), pelvis, hip and thigh. These services will certainly be well received by motorists using MEX.